Organic. Raw cacao’s badass little sister is fibrous and lower in sugar. Use her as a chocolate substitute. Origin Cyprus. Carob powder is often used instead of chocolate. Grown across the Mediterranean our Carob is from Cyprus and has a delicious light flavour and is the perfect alternative to chocolate for many recipes. 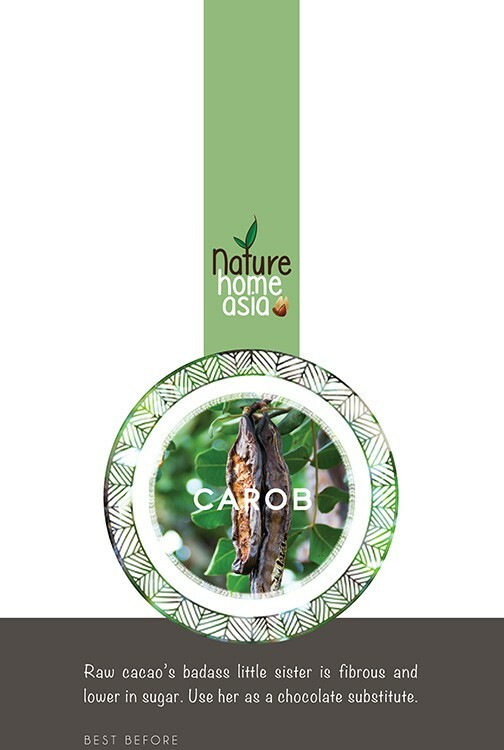 Carob is an evergreen flowering shrub, belonging to the pea family. Native to the Mediterranean region especially in the eastern and southern area of Spain, carob is cultivated for its edible seeds. It has been used for centuries across Europe and became popular in the health food circuit as unlike cocoa it doesn’t contain any caffeine or any stimulating qualities. 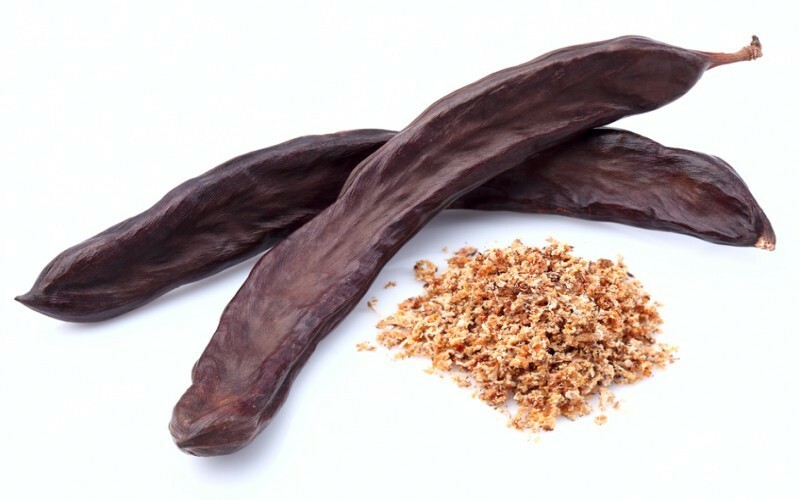 Carob is high in antioxidants, Selenium and Calcium and has a lighter less intense flavour than cocoa. It is high in Vitamin C and also contains Gallic acid which is an antiviral, antibacterial, and analgesic compound which can help with childhood ailments. If you have high blood pressure or want to avoid caffeine carob is the perfect substitute in recipes and cooking to using chocolate, and can be used in cakes, cookies, ice cream, and desserts. It can also be added to nut milk to give a chocolatey flavour and mixed with honey to make a sauce. Carob can be used in hot drinks instead of cocoa, made into carob chips to use in cookies and of course added to your smoothie. It’s perfect to take late at night when you want a chocolate fix without anything to keep you awake later. Use as a replacement to raw cacao or cocoa in any recipe where you want the chocolatey flavour without the caffeine.